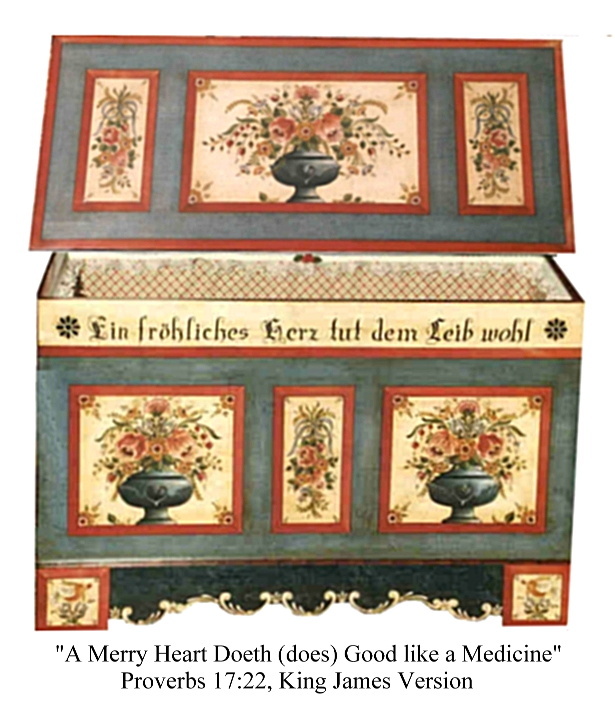 While living in Heidelberg, Germany for six years, Scottie became fascinated with the beautiful painted boxes and furniture found in museums and shops in Bavaria. Having had only a few lessons in tole painting several years before, she jumped at the chance to take Bauernmalerei (Bavarian Folk Art) painting lessons from Mary Caballero, a wonderful English-speaking German lady in Heidelberg. Mary inspired her students to paint everyday, to have patience in learning and to persevere to the end of each project with the promise that all who truly wanted to could learn to paint this happy form of folk art. However, the lesson that meant even more to Scottie was Mary's insistence that all designs be freehanded onto the wood surface - not traced! By practicing this technique, it was possible to develop a unique style and to create original designs. Scottie still feels that these principles are some of the most important to instill in minds and hearts of beginning painters. After returning to the United States in 1978, Scottie was asked to write a book about Bauernmalerei painting which was published in 1980. 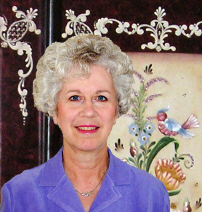 Since that time, she has published many books and pattern packets as well as written articles for magazines such as The Decorative Painter, Painting Magazine, Decorative Artists' Workbook, Crafts Magazine and Tole World. Her books and packets are written in a simple, clear and comprehensive manner in order to bring the excitement of Bavarian Folk Art painting to all levels of painters from beginners to teachers. Scottie's painted pieces are sought after by collectors and she has several pieces in the Smithsonian's collection of painted Christmas ornaments. In 1996, it was a great honor for her to be commissioned to paint a large chest for the Decorative Arts Collection of the National Society of Decorative Painters as a Past President's Award (by past president Betsy Thomas). The chest is on permanent display in Wichita, Kansas, the home of the Society. In the year 2000 Scottie was voted one of the "10 Top Talents in 2000" by the readers of Decorative Artist's Workbook Magazine! This list of 10 all-time favorite artists "celebrates 10 of the many influential, inspiring and accomplished decorative painters in the field today." See the collection of step-by-step projects by all 10 winning artists in the Decorative Artist's Workbook year 2000 issues. For the last thirty-three years, Scottie has traveled around the US, Canada, Australia, Japan, Singapore and Korea spreading the joy of Bauernmalerei to eager seminar students as well as teaching classes locally. Scottie loves to spread the word that if you really have the desire to paint and are willing to practice, you can become a folk artist and have a wonderful painting time!